I regularly use Instagram for my studio based portrait & beauty digital photography. I use StevenBrokaw for this side of Instagram. However, I shoot lots of film, but I don't put any of this work on my Instagram page. Except for now!! 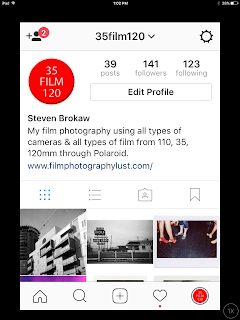 I recently launched a second account which is film photography related only. I've named it 35Film120. Why this name? Honestly I couldn't think of anything catchy. I'm under the impression the audience for film images is different than my studio work. Therefore, a separate account. The goal is to use 35Film120 for film photos using all types of cameras...and trust me, I have them plenty. 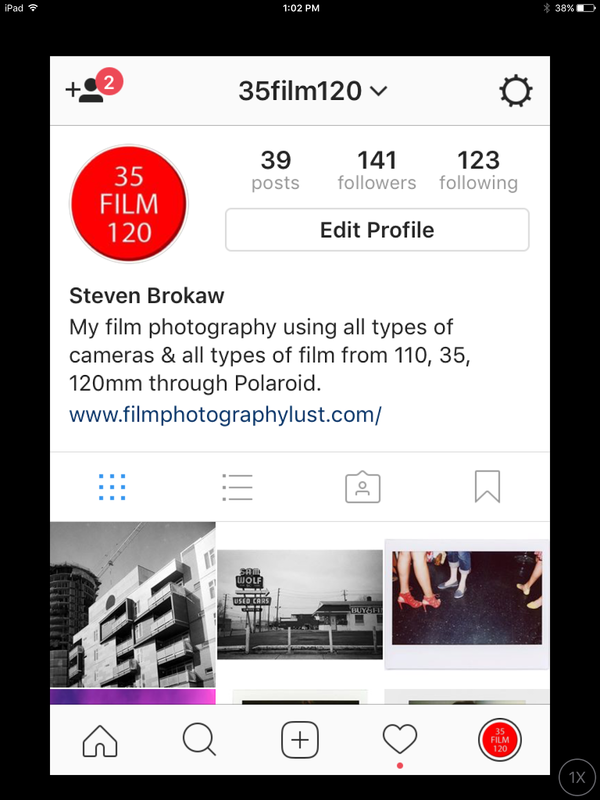 Although 35 & 120 is my preferred sized film I also shoot 110, 126, 620, Impossible Project. You get the idea. I also intend to post behind the scenes, etc. I'll try to include camera type and film stock used on each image. Already having fun posting recent photos. I might occasionally post one from the archive as well!